Grifoll, M., Karlis, T., Ortego, M.I. 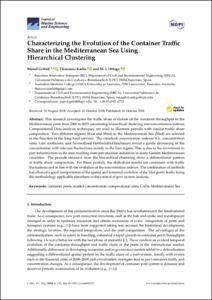 Characterizing the evolution of the container traffic share in the mediterranean sea using hierarchical clustering. "Journal of marine science and engineering", Desembre 2018, vol. 6, núm. 4, p. 1-14.